This classic fit Arctic Parka features an exclusive 60% cotton/40% nylon Ramar shell with a Teflon finish for snow, rain and wind resistance. 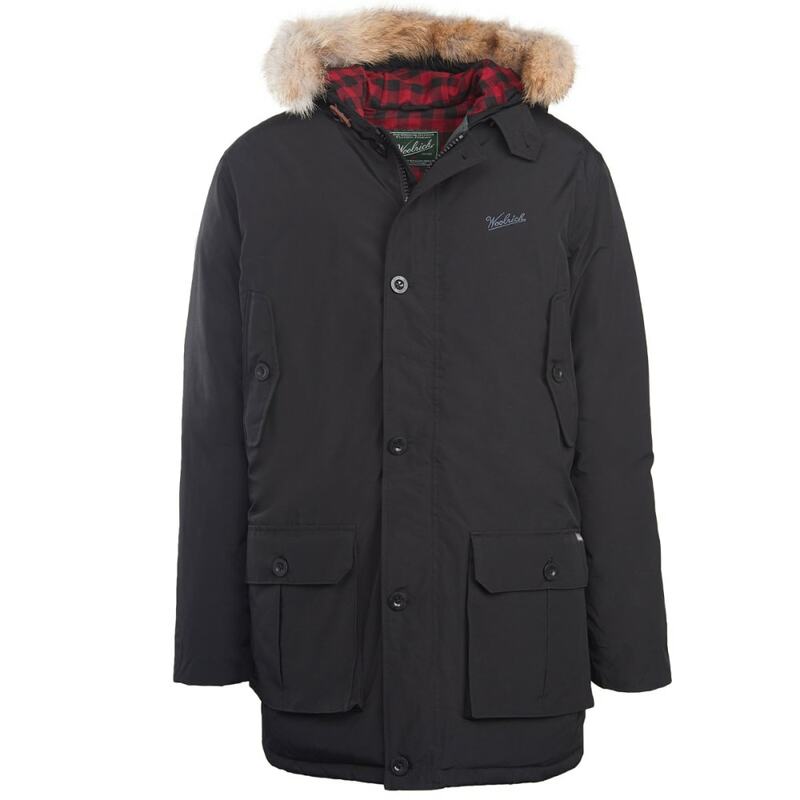 This parka is insulated with 70% duck down and 30% duck feathers, which provide lasting and durable warmth. The detachable hood also keeps you warm with a removable coyote fur trim. Shell: 60% Cotton, 40% Nylon Ramar, 4.5 oz. Cuffs: 70% Spun Polyester, 10% Polyester, 20% Spandex, 26 oz. Body & Sleeve Lining: 100% Nylon Plainweave Taffeta, 2 oz. ; 100% Polyester, 1.75 oz. Hood Lining: 100% Polyester Flannel Twill, 6.5 oz. Center Back Length: 36 in.